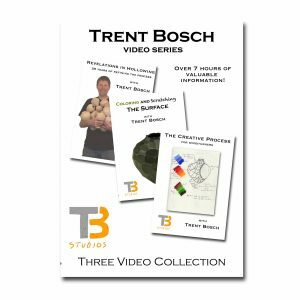 In this DVD Decorative Utility Bowls, Trent welcomes you into his Fort Collins, Colorado studio and takes you through all the steps and processes in creating a decorative utility bowl. 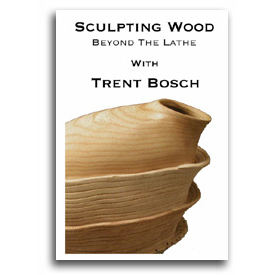 He takes you from the woodlot, to the bandsaw, to the lathe to rough turn a bowl. 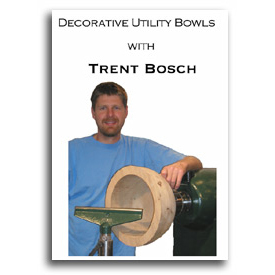 Then Trent discusses drying techniques for green wood, returns the dry bowl to it’s final shape and shows numerous decorative techniques and finishing options. Woodturners of all levels are certain to enjoy.